You know, I have to venture away from my shooting, fishing, hiking stories for this one! Trip Adviser just named five of the top ten beaches in the United States right here in my home state of Florida. Of the top ten, they named: St. Pete #1, Miami Beach #2, Daytona Beach #6, Fort Lauderdale #7 and Key West #10. 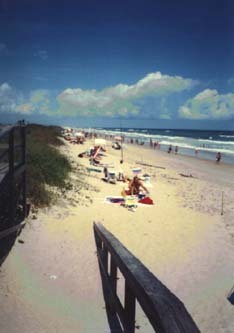 Personally my favorite is Playalinda Beach which is part of the Canaveral National Sea Shore, just 30 minutes south of Daytona in Brevard County. I'm sure it was just too small (or not commercial enough) to name. So, next time you need to relax on the sand with the waves lapping the shore, practice your surfing or throwing in a fishing line consider coming to visit us in Florida. For the full article on Trip Advisor, click here.